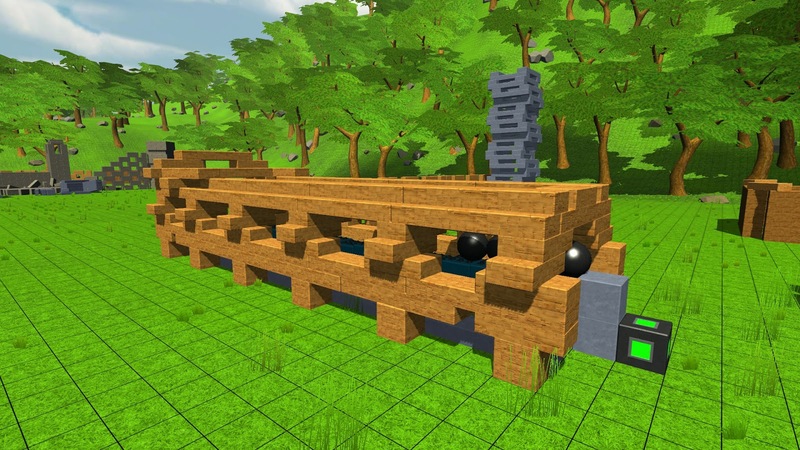 Brick Inventions - Development Blog: Brick Inventions: Now on Steam Greenlight! Brick Inventions: Now on Steam Greenlight! I'm back with some interesting news: Brick Inventions is now on Steam Greenlight! I would like to thank everybody who votes for the game and you would also really help me if you told your friends about the game so it can get even more votes. Besides Steam Greenlight, I have been working on a multiplayer sandbox so you can build and experiment with your friends together. The basic structure is almost finished but there is more work needed to create a proper UI for it. I also made several smaller changes, like adding trees and more textures to the sandbox-map to make it look better.